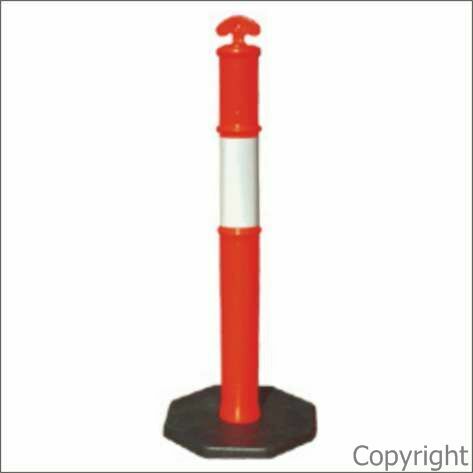 This bollard is a bright fluoro orange colour and has a reflective band for high visibility for day, night and all weather conditions. It is very stable in high speed traffic with its wide base and weight of 6kg. 1150mm high and diameter of 100mm. Can have a sign bolted to the top for added impact for industrial applications. Call for a quote.